Dave Matthews, Alanis Morrissette, and Bela Fleck? Q: On what album did Dave Matthews collaborate with Alanis Morrissette and Bela Fleck? A: Before These Crowded Streets (1998). Check out track 4: “Don’t Drink the Water.” It’s killer. 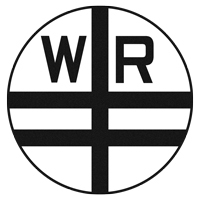 Whiskey N’ Rye is stoked to have just finalized its logo.